Well, we finally hit our limit with this Proxibid house that features too many doctored lots with descriptions taken from flips. The photo above cannot be expanded to the extent needed to see chemical dipping and bag marks. 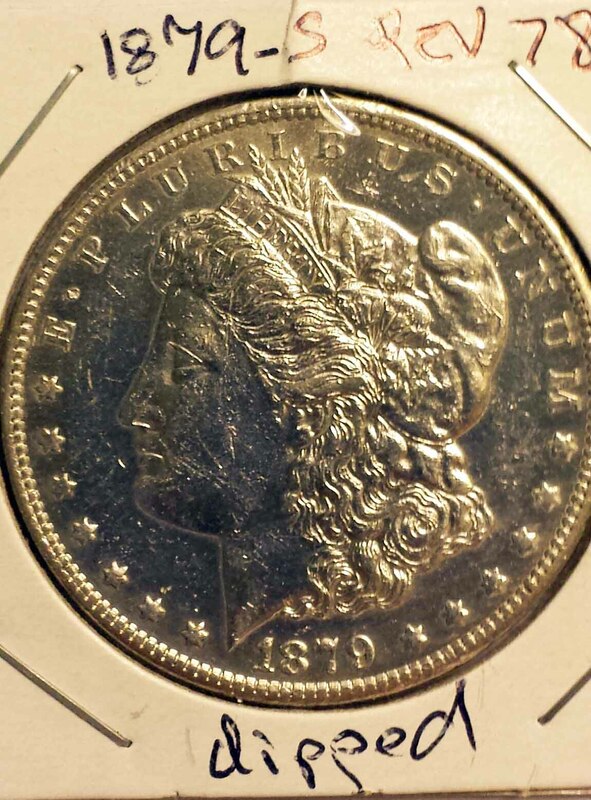 The scarce 1879-S reverse of 78 Morgan dollar was described as brilliant uncirculated. The photo seems to suggest that it might be, and we took the auctioneer at his word. Take a look at the photo below. It is the same coin as the one above. We shot the coin with a smart phone, and you can see the difference. We also labeled this correctly. We wish the auctioneer had done so as we lost about $65 on this lot. And if we’re losing money in Proxibid auctions like this, you can bet other people are, too. We won’t name the auction as this site is educational. Suffice to say that if you are a bidder and cannot discern a coin’s true worth, you may think you’re scoring a bargain on Proxibid when you are not. Your only recourse is to do what we have done–stop bidding on coins in that auction. Save your funds for auctions you can trust. Another excellent comment! 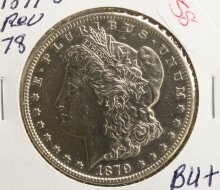 I recently entered a number of bids on coins that looked “O.K.” – given the somewhat fuzzy/grainy photos. I was honestly shocked when the coins arrived – each and every one (Buffalo nickels) had been subjected to a complete acid bath. I immediately rechecked the listings and there was absolutely NOTHING noted to indicate or imply the coins were substandard in any manner. The seller did make good on a full refund, thank goodness. This is where Proxibid keeps losing ground to eBay. I’m hoping someone at Proxibid reads posts and comments like yours. I’m going to shorten the list of my recommended auctions in the sidebar next month because of poor quality photos.